Scott McLaughlin is the new young gun of Australian and New Zealand motorsport. He is a star on the rise, and was recently voted the most popular driver in the sport. Road to Redemption: A Championship Journey is the inside story of McLaughlinas remarkable journey from losing the... read full description below. Scott McLaughlin is the new young gun of Australian and New Zealand motorsport. He is a star on the rise, and was recently voted the most popular driver in the sport. Road to Redemption: A Championship Journey is the inside story of McLaughlin's remarkable journey from losing the seemingly unloseable in the 2017 Supercars Championship to winning the title in 2018. 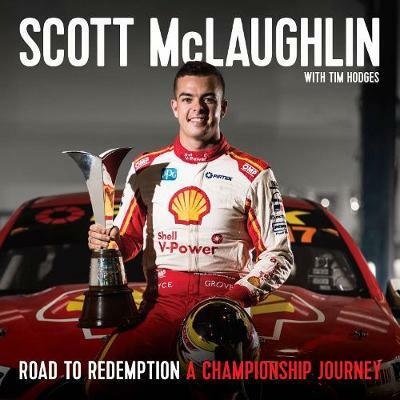 Written with the help of experienced journalist and TV producer Tim Hodges, and featuring the brilliant work of Mark Horsburgh, the leading motorsport photographer in Australia, Road to Redemption will be released to coincide with the opening round of the 2019 Supercars Championship.